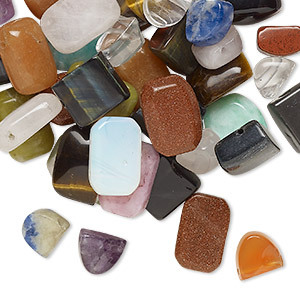 Bead mix, multi-gemstone (natural), mixed colors, 7mm-42x42mm mixed shape, Mohs hardness 3 to 7. 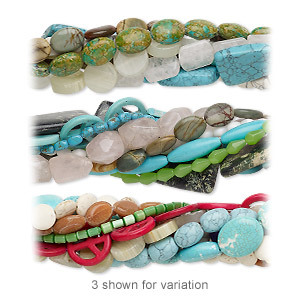 Sold per 1/4 pound pkg, approximately 15-40 beads. 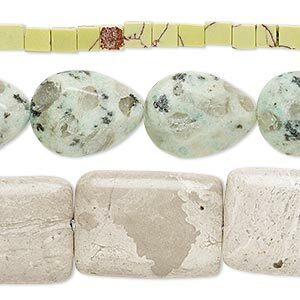 Materials can include brown zebra stone, green aventurine, red aventurine, canyon marble, green marble and more. 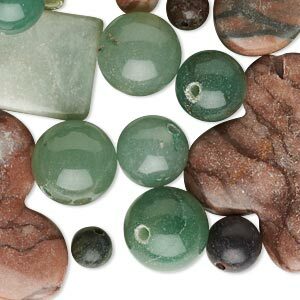 Shapes can include round, oval, puffed oval, rectangle, flower and more. 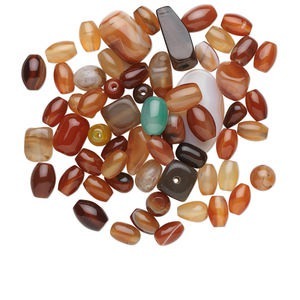 Bead mix, agate (natural / dyed), mixed colors, 4mm-26x15mm mixed shape, C grade, Mohs hardness 6-1/2 to 7. 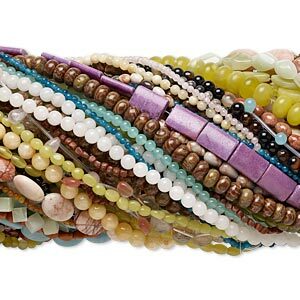 Sold per 1/4 pound pkg, approximately 170-300 beads. 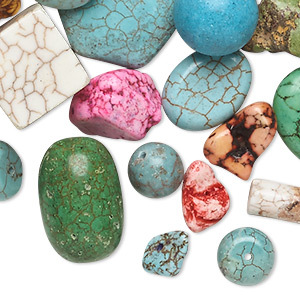 Bead mix, multi-agate (natural / dyed / heated), mixed colors, 4mm-36x26mm mixed shape, C grade, Mohs hardness 6-1/2 to 7. Sold per 1/4 pound pkg, approximately 75 beads. 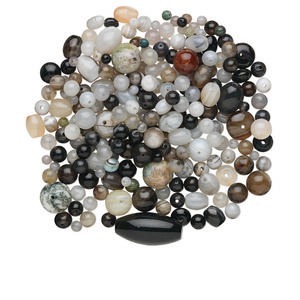 Bead mix, gemstone (natural / dyed / manmade), 5x5mm-30x22mm mixed shape, C- grade. Sold per pkg of ten 15" to 16" strands. 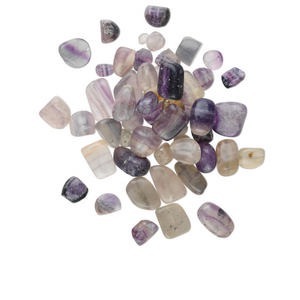 Bead mix, fluorite (natural), 10-35mm mixed shape, D grade, Mohs hardness 4. Sold per 1/2 pound pkg, approximately 50 beads. 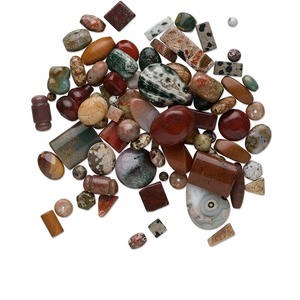 Bead mix, multi-jasper (natural), 4-35mm mixed shape, C grade, Mohs hardness 6-1/2 to 7. 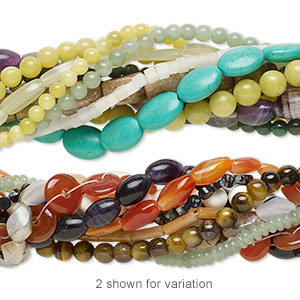 Sold per 250-gram pkg, approximately 200-300 beads.